Caregiver of the Month August, 2016! 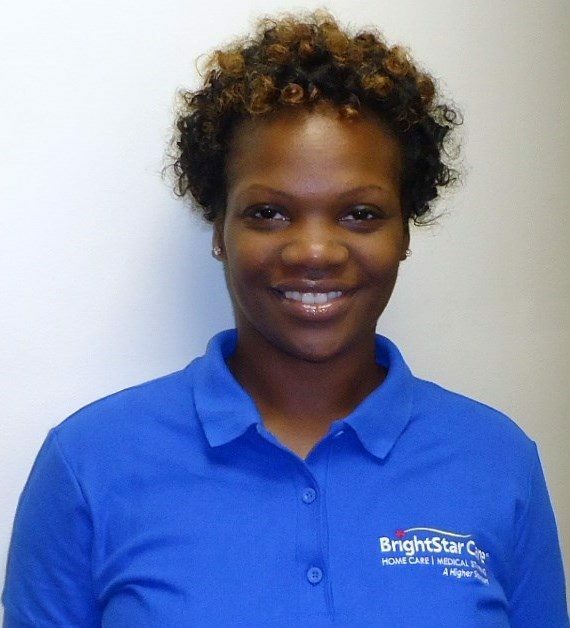 | baltimore-county-west | BrightStar Care " "
Caregiver of the Month August, 2016! Congratulate Teaire Miles on being nominated as Caregiver of the Month for August 2016! Teaire consistently provides great care. She has had the same client since she started working for BrightStar in April of 2015. Her client and the family feel “blessed” to have such a great caregiver. In every survey they have consistently rated Teaire as a “10”, providing great care. When one of our RN's turns up to do a supervisory visit she is always “caught doing the right thing.” She is always eager to learn new things and takes feedback as a “gift” eager to learn how to provide better care. Her attitude is always positive and her disposition always sunny. Her genuine caring and love of seniors comes out in everything that she does. Whenever she has open time in her schedule she contacts the office and is eager to help and take extra shifts filling in for others or helping with short term cases. Congratulate Teaire on being the selected the Employee of the Month. She now has a 1 in 12 chance of winning a cruise for two in our Caregiver of the Year contest.